► Graffiti (can be removed) ► Scratching (does not scratch) ► Wear (suitable for high traffic areas) ► Chemicals (will not harm surface or image) We provide independent laboratory certificates to substantiate the claims above. temperatures. However, this is not the case when using Tile Artisans proprietary technology to create tile art or custom tile murals. We are able to provide the best color matching in the industry. With our newly developed ceramic color pigments, we are able to accurately reproduce any color (incl. 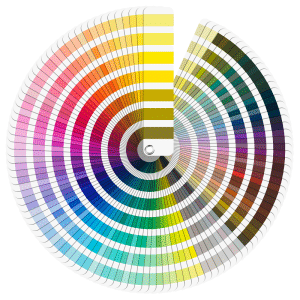 most of Pantone® colors,) even when fired to 1650 F or higher. The support materials (porcelain) as supplied by Tile Artisans are manufactured in accordance with international and national industry standards for porcelain tile. The standards being: ►ISO 13006 for Definition, Classification, and Properties ►ISO 10545 for Testing Methods ►ANSI Specification A 137.1 (if support material is of US origin). The standard nominal sizes are (in inches): ►4x4 ►4x8 ►6x6 ►8x8 ►12x12. Note: 1x1 and 2x2 mosaic tiles are available upon special request. The proprietary image transfer technology used by Tile Artisans allows images of artwork such as paintings, watercolors, pencil sketches, computer generated designs, photographic images and many other images to be displayed in places not previously possible. 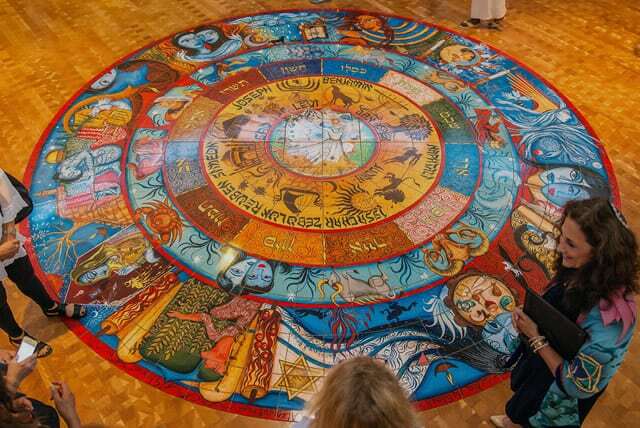 When applied to tile, the artwork can be displayed indoors or outdoors—in climates with freezing temperatures and in hot sunny climates—without deterioration or fading. These ceramic tile murals are so versatile they can be installed as tile wall murals, as tile floor murals, as custom swimming pool tile, as decorative tile fountains, and more. The only limit is your imagination. Custom Tile Murals can be used in a variety of different ways. You can use the distinctive tile art to create a unique one-of-a-kind atmosphere in the kitchen, bathroom or any room in your home for durable wall or floor decorations. 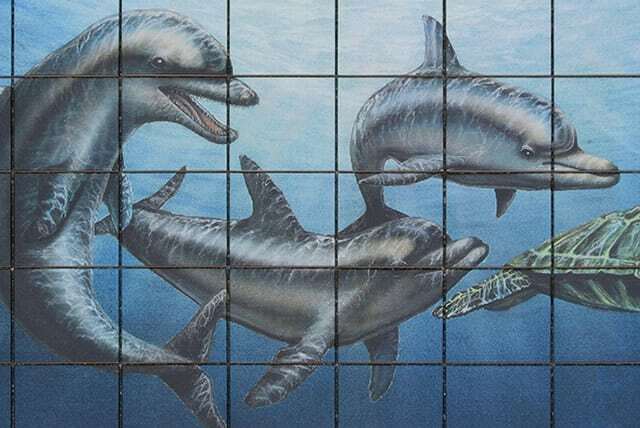 Custom Commercial Tile Murals can be used in restaurants, boutiques, malls hospitals, schools, airports, museums, etc. 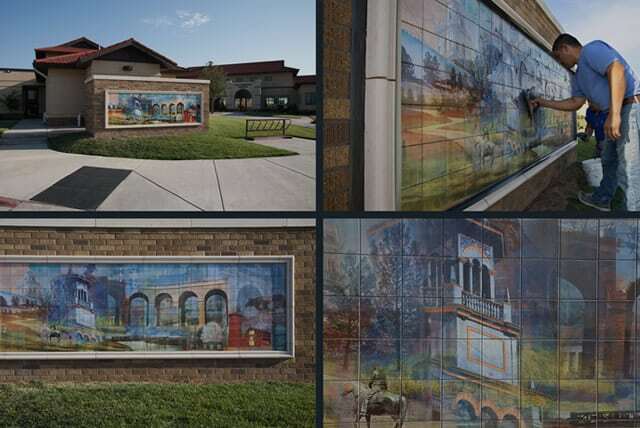 Because of our unique, high temperature process, our exterior tile murals last a lifetime. This exciting new process makes certain that your exterior wall murals and tile floor murals will not fade, peel or tarnish in any way. 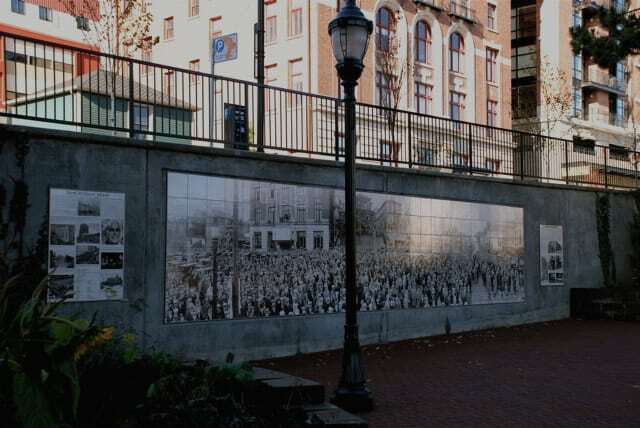 Using this high resolution image transfer process, we have created many large outdoor murals for art in public places, historical wall murals, donor recognition wall murals, and swimming pool murals. 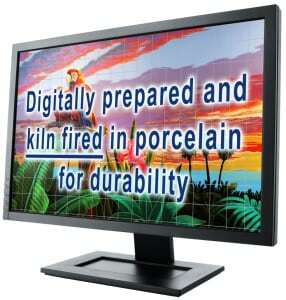 If you want to differentiate yourself, consider custom ceramic tile signs. 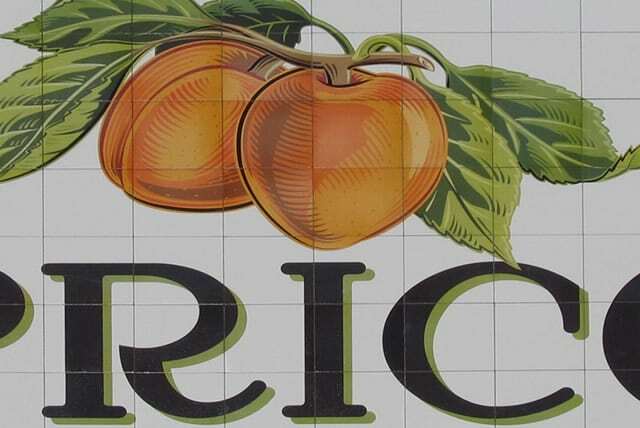 With the use of Tile Artisans’ advanced technology, ceramic tile signs are durable, fade resistant, and graffiti resistant. You can display the custom ceramic tile signs on brick marquees, attach them to concrete walls, insert them into a tile floor foyer (a company logo, for example), or any space you can think of. These tile signs and logos are designed to fit any space, regardless of size. Our designers can take your logo and graphics and design a custom sign specific to your needs. “Tile Artisans was able to satisfy our color reproduction requirements with spectacular results.” Sonia Benjamin, Artist. 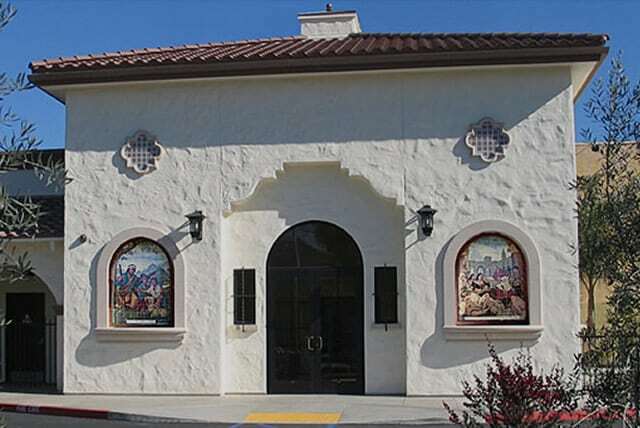 Tile Artisans works closely with many well-known artists, assisting them to transfer their artwork to ceramic tile. With our proprietary and durable transfer process, our design team can transfer your art work (paintings, graphics, photography, computer generated art, etc.) on to a permanent “tile canvas” for public display that will be admired for generations to come. Our durable, non fading, scratch resistant and graffiti resistant process lends itself well to place your artwork in any project involving Art in Public Places. We use our advanced photographic image transfer process to create custom pool borders and pool murals. You can use one of your own created images or use one of our stock images to create designer waterline tile. 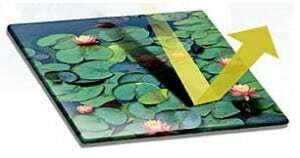 Our advanced process makes our pool tile resistant to pool chemicals and UV-rays, and they will not fade or discolor. 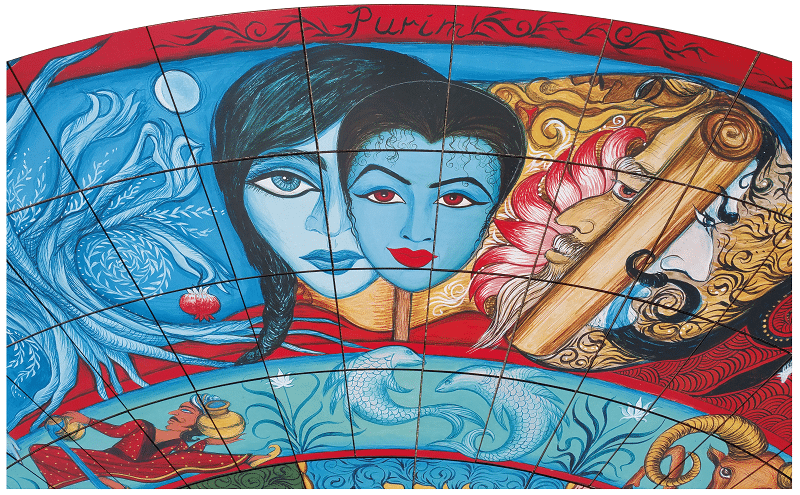 Your pictures, logo, or any other image can be enlarged to a full-sized mural or reproduced on a single tile. Suitable for indoor or outdoor use, our specialty tiles and custom tile murals are guaranteed to last a lifetime. We have what it takes to make your mural project a huge success. 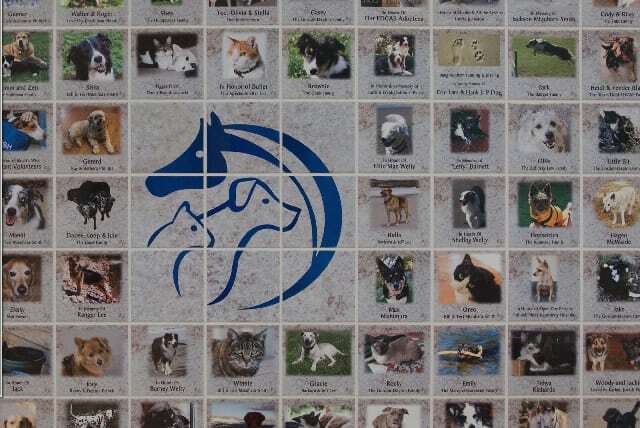 Our custom ceramic tile murals outlast and outshine traditional mural paintings, wallpaper murals, and similar printed tiles offered by our competition. 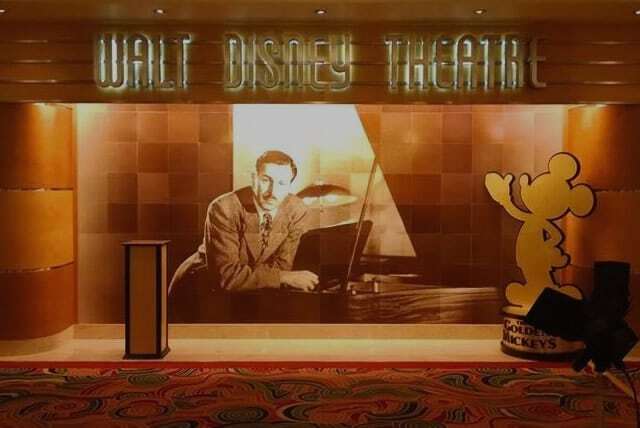 Tile wall murals never looked so good or lasted so long as those from Tile Artisans Digital Imaging, LLC! Call or email us to learn how our custom tile murals can work for you. We look forward to serving you.